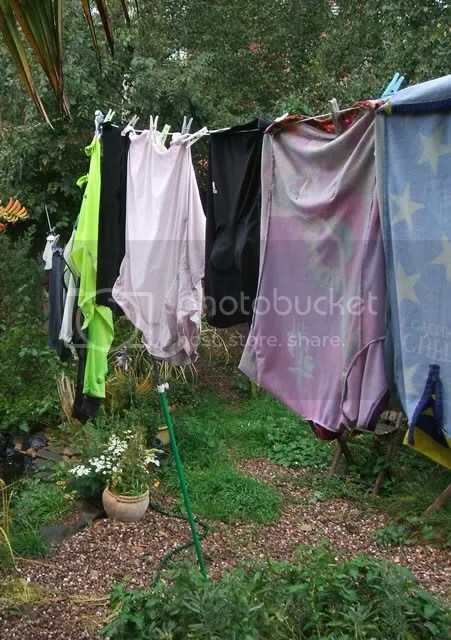 Sunday is cyclingday, so I wake to rain and a washingline full of wet clothes. I face a grim choice: finish the last bit of painting in the attic, or attack the pile of marking while I wait for the clouds to lift. It’s a tough life. This entry was posted in Cycling, Home and tagged Rain, Sunday. Bookmark the permalink.